There is a certain confusion in online resources between two late apocryphal texts, the so-called Acts of Mark and the Martyrdom of Mark; and that there is a connection from this material to a spurious Encomium in XII Apostolos attributed to Severian of Gabala. Fortunately Schneemelcher’s classic tome, New Testament Apocrypha, vol. 2, does not share this confusion. Let’s discuss these two obscure texts, neither of which was familiar to me before today. Most of this is summarised from Schneemelcher, of course. Before we do so, a warning. Neither of these should really be considered as New Testament Apocrypha. They are really hagiographical works, “Christian novels” as a recent publication called such things. The story is in 14 chapters and inter alia relates to Mark’s disciple, Anianus. This work is preserved in a number of Greek witnesses, two of which have been printed, and are clearly related (BHG II, 1035-1036). Codex Vaticanus gr. 866. This text was printed in the Acta Sanctorum, April vol. III, Antwerp 1675, XLVI-VII. The story must have been translated into Latin early, as a version is embedded in Prudentius (end of 4th c.). A number of Latin versions of the story do exist (BHL 5276-5280). An example is printed in the Acta Sanctorum (April III, Antwerp 1675, 347-349). A Coptic version or versions also exist. The Amherst Morgan 15 papyrus (7th century) is online here. This was printed and translated in W. Crum, Theological Texts from Coptic Papyri, Oxford 1913, 65-68, also online here. Schneemelcher lists a couple of other papyri. The Morgan Coptic Codex 635, fol. 24r-33v, contains an episode from the same narrative as part of a series of homilies or encomia. These are the Encomia in XII Apostolos mentioned among the spuria of Severian of Gabala by the Clavis Patrum Graecorum, as CPG 4281. This material has been published in the CSCO, and even translated into English (CSCO 545, 1992, homily 4, starting p.65), where it is headed “On St Peter and St Paul”. The homily or encomium is intended for the feast which marks the martyrdom of these two saints and the twelve apostles. Being delivered in Egypt, it naturally devotes space to St Mark, the evangelist of Egypt. There is also a publication which I have not seen, A.D.Callahan “The Acts of Saint Mark: an introduction and translation.” Coptic Church Review 14 (Spr 1993), pp. 3-10. There are also at least two Arabic versions. The first (BHO 597) was published by Agnes Smith Lewis in Horae Semiticae III-IV, London 1904, 126-9, 147-151. Another heavily reworked version (BHO 598) is incorporated in the History of the Patriarchs of Alexandria. I have not seen it, but there is also A. D. Callahan “The Acts of Mark: tradition, transmission, and translation of the Arabic version.” In: F. Bovon (ed), Apocryphal Acts of the Apostles, Harvard, 1999, pp. 63-85. This I assume again relates to the Martyrdom, not the Acts. Several copies of an Ethiopic version have reached us; and there is an Old Slavonic version. This work in 35 chapters is a massively expanded reworking and paraphrase of the Martyrdom, drawing on material about St Mark from all sides, including the Acta Barnabae. The text is preserved in Greek in a 13th century manuscript from the Stavronikita monastery on Mt Athos, Codex Athonensi Stauronicetae 18, fol. 175v-189. (BHG II, 1036m). It was edited by F. Halkin, Analecta Bollandiana 87, 1969, 346-371. An English translation is in progress by Mark A. House. A draft of 5 chapters can be found in Salm’s paper, although 9 have now been translated. A similar attempt to expand the Martyrdom can be found in the History of the Patriarchs of Alexandria, prefaced to the Arabic version of the Martyrdom. It was edited with English translation by B. Evetts, Patrologia Orientalis 1, 1904, 134-40. The relation between these two works is now a lot clearer to me. Let’s finish by giving Dr Callahan’s translation of the Martyrdom of Mark, as few will have access to it. Translated from Par. Gr. 881 = Paris Greek 881, entitled “Martyrdom of the Holy Apostle and Evangelist Mark of Alexandria,” in Patrologia Graeca 115, cols. 164-69. At that time when the apostles were being dispersed throughout the inhabited world, it was the lot of the most holy Mark to go into the environs of Egypt by the will of God, where also the blessed canons of the holy and apostolic Church decreed that he be the first evangelist in the entire region of Egypt, Libya and Marmarice, Ammaniace and Pentapolis to preach the gospel of the visitation (epidemias) of our Lord and Savior Jesus Christ. For throughout the land were people uncircumcised in heart, idolaters, full of every uncleanness and worshippers of unclean spirits. For they furnished consecrated enclosures and sacred precincts for every house and street and province; and fortunes as well as magic, and every angelic power. Moreover, demonic [power] was among them, which the visitation of our Lord Jesus Christ arrested and destroyed. Then, after the oracularly announced evangelist Mark arrived in Cyrene and Pentapolis, speaking the word of the ruling power of Christ, and performing stunning miracles among them (healing the infirm, cleansing lepers, exorcizing fierce spirits by the word of his grace), many people, believing in our Lord Jesus Christ through him, threw their idols to the ground, were enlightened and were baptized in the name of the Father, the Son and the Holy Spirit. And seeing a cobbler, he handed over the sandal to him. The needle in the hole pierced his right hand and he said [lit., says], “God is one!” And the blessed Mark, hearing “God is one,” said to himself with a laugh,” The Lord has made my way go well.” And he spit on the ground and made clay from the spittle and anointed the hand of the man, saying, “In the name of Jesus Christ, the son of the eternal living God, be well.” And immediately the man’s hand was healed. The cobbler, having become acquainted with the power of the man and the efficacy of his word and ascetical appearance (or, “attire”), he said to him, “I beg you, 0 man of God, come, lodge today in the house of your servant and let us eat a morsel of bread together, and have mercy on me today.” But the blessed Mark said with glee, “May the Lord give you living bread.” And the man prevailed upon the apostle, and joyfully brought him into his house. And the holy Mark began to relate [lit., ‘perform’] the gospel of Jesus Christ, Son of God, son of Abraham, and showed to them the matters concerning his prophets. But the man said, “I beg you, lord, I have not once heard of the writings of which you speak, but [only] the llliad and the Odyssey, and such things as make wise the children of the Egyptians.” Then the holy Mark [began: supply exate] to proclaim Christ to him and to demonstrate to him that the wisdom of this world is foolishness according to God. And the man believed in God because of the signs and wonders mentioned by Mark, and he and his entire household were enlightened along with a great multitude in that place. And the name of the man was Ananias. As there came to be a multitude of those believing on the Lord, the people of the city heard that some Galilean had come there and was overturning the sacrifices of the gods and hindering their worship, and hatching plots against him they sought to kill him. But perceiving their designs, the holy Mark, after selecting Ananias as bishop and three presbyters Milaios, Sabinus and Kerdon, and seven deacons, i.e., eleven others for service to the church, fled and departed again for Pentapolis. And after spending two years there, establishing the brethren and appointing bishops and clergy for each region of the countryside, he returned to Alexandria and found the brethren growing in the grace and discipline of God. And they built a church for themselves called the [places of the] Boukalou by the sea, beneath the steep banks. And the righteous one rejoiced greatly, and on bended knee glorified God. But as enough time passed, the Christians multiplied, laughing the idols to scorn and ridiculing the Greeks. The Greeks learned that the saint and evangelist Mark had returned, and hearing of the wonderful deeds he was performing they were filled with jealousy. For he healed the infirm, cleansed the lepers, proclaimed the gospel to the deaf, and bestowed sight to many of the blind. But while the holy Mark was being dragged along, he offered up thankgiving to the savior Christ, saying, “I thank you, Lord Jesus Christ, that I have been counted worthy to suffer these things on behalf of your name.” And his flesh was falling to the ground, and the stones were stained with his blood. But early in the morning, the multitude of the city returned and removed him from the prison. They again threw the rope around his neck and dragged [him about], saying, “Let us drag the antelope to [the places of the] Boukolou.” But the blessed Mark again offered up thanks to the creator of all, the Lord Jesus Christ, saying, “Into your hands, Lord, I commit my spirit.” And after he said this he surrendered his spirit. Then devout persons came and wrapped up the body of the righteous one from the ashes and bore it to where they finished their prayers and hymn-singing, and dressed him [i.e., his body, for burial] according to the custom of the city, and laid him out in a place that had been splendidly hewn. They completed his memorial prayerfully and decorously; they valued him as the first treasure in Alexandria. They laid him to rest in the eastern section [of the city]. The blessed Mark, the Evangelist and first martyr of our Lord Jesus Christ was laid to rest in Alexandria in the Egyptian month of Pharmouthi 30th, but according to the Romans before the Kalends of May; according to the Hebrews the 17th of Nisan, during the reign of Gaius Tiberius Caesar, but according to us the Christians during the reign of our Lord Jesus Christ, to whom be glory and power forever and ever. Amen. A couple of years after his 1911 publication on the miracles of the Dragon and the Demon, Aufhauser went on to publish the text of 19 miracle stories or other pieces about St George, in the Teubner series in 1913. (Online at Archive.org here). The book contains text(s) taken from several manuscripts. Unhappily these include the codex Athous Ioasaphaion 308, written on paper so late as 1878. Yes, that is right – only 35 years before the Teubner, and written, much of it, in modern Greek. The stories agree on content, but little else; so, mysteriously, Aufhauser edits two or three or more versions in parallel, in a hard to follow manner. Here are the items in it (I’ve translated the Latin titles given by Aufhauser). Aufhauser gave summaries of the first 13 items in his 1911 book, which I have already given here. Items 14-19 he prints for the first time. The contents of items 14-19 are not given except in the text. I understand that a number of these items exist in French translation, in A.J. Festugiere, Saint Thecle, saints Cosme et Damien, saints Cyr et Iean (extraits), Saint Georges (Paris 1971), 33-82. That’s a lot of pages; maybe he translated the lot! I shall place an ILL and see. I find that various of these miracles are recounted online on orthodox pages. I don’t know if they have much connection to the texts published by Aufhauser. My purpose in investigating all this has been to discover if there are literary texts which should be translated into English. But it seems more than doubtful that any of this deserves translation, at least by me. A summary of the contents of each story would serve for most purposes; for none of these texts are canonical, or literary, or form any kind of collection. They are just stories, legends, that circulate. So why spend much time on translating one of the many forms in which a given story exists in the manuscripts? The passio of St George is another matter, as there is clearly a literary history involved. It is possible that the materials around St George and the dragon might usefully be put into English, because of the importance of that myth to the English-speaking world. But all in all, it’s some distance from what I want to be doing. So much is online these days, that I hardly use my local library any more. Also I have rather more money than I did thirty years ago, and the temptation is strong to simply order any book that I want, and have it appear at my house – or my hotel room – the next day. It is, of course, terribly wasteful to do this. But I admit to having succumbed twice in recent weeks, once for Christopher Walter’s The Warrior Saints – a fine book indeed, and absolutely critical for anyone interested in the St George literature – and also for the Ashgate Research Companion to Hagiography volume 2. The latter was probably a very expensive mistake, for I have still not opened it. Another text was not online, nor readily available for purchase. So I sent an email to my local library asking them to get it for me. I was mildly surprised to be told that my library card had expired. After using the same card for over thirty years, this seemed very odd! But they ordered it anyway, and it arrived today. For $8 I can have the use of it for two weeks. That’s not very long; except that, of course, I always intended to scan it and create a PDF which would always be with me. As the item was published before WW1, and is therefore out of copyright in the USA, I also intended to put it online. This morning I collected it, on a steaming hot grey morning. It was good to see that my PC copy of Abbyy Finereader Pro 12 and book scanner still worked. The small size of the volume, and small text size, meant that I had to scan it at 600dpi, which of course meant very large bitmaps. These were almost 20mb per page in .png colour format; half that, on average, in jpg. And they had to be colour, because the spine was tightly bound and the shadow in the spine covered some of the text. Peculiarly the yellowed paper scanned as a faint pink. Anyway the scan is certainly good enough for my purposes, although I do wish somebody would find a way to produce monochrome scans of tightly bound books! I’ve been thinking about the legends of St George. A remark by Christopher Walter has resonated. These are not literary texts, where the specific words of the story matter. These are folkstories, where the story is all, but the precise words nothing. It’s like the legends of King Arthur. 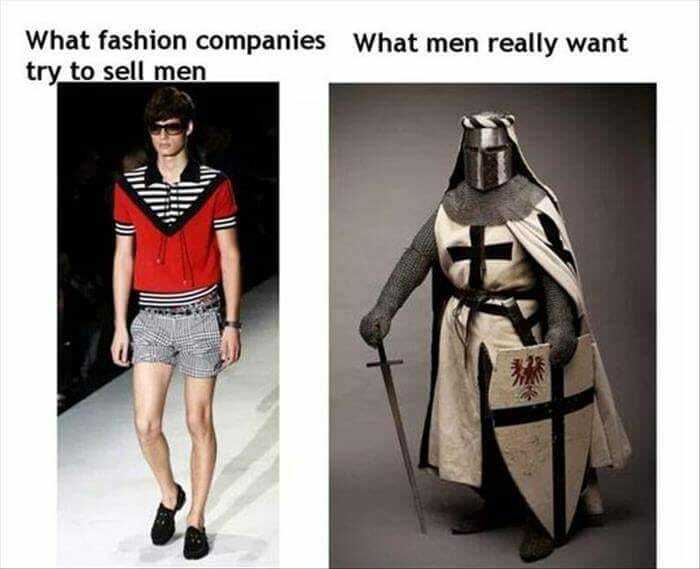 There actually is no original text for these. Instead there are the legends, in ever-changing forms, and any two recitings may be cast in quite different words. Such written forms as exist are derivative from this process. The same is true of the legends of Robin Hood. There are the medieval ballads, but nobody pretends that these are definitive. The story will feature Robin, and Little John, and the Sheriff of Nottingham; and at the end the Sheriff will be foiled and the Merry Men will celebrate in the greenwood. The rest is mere scaffolding, temporary and of no permanent importance. The same must be true of the stories of St George. Nobody ever cared about the precise words. It is the story that matters. Consequently almost every other copy is quite different. It is qualitatively a mistake to try to trace a stemma in the way that we might for a literary text. The legends of St George, like those of Robin Hood, have an oral element. On the feast day of St George, it would be necessary to give an account of the saint. Collections of brief accounts of saints exist, in the synaxaries, compiled for just this purpose. But longer accounts would naturally be given, sermons might well incorporate other material, and so tellings of the legend would extend. I’ve also been mulling over the question of whether St George is English. This sounds like a strange question! But today English nationalism is held in great suspicion by the British ruling class, who rightly see it as a threat to their internationalist policies, and attacks on English institutions are encouraged. 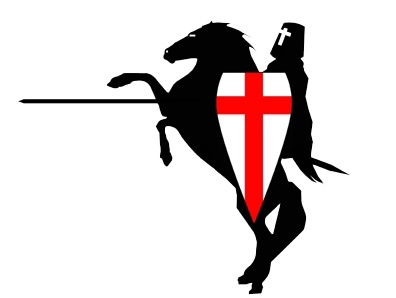 St George as a symbol of England, wearing the red cross, is therefore suspect. On twitter I saw a jeer that St George was a Palestinian immigrant. Much nationalism has been excited by the settlement of more than five million immigrants in the last decade, which gives the jeer its point. Like most good jeers it is designed to be hard to respond to. But we instinctively know that something is wrong. And it gives us the chance to clarify what we mean by a nation’s patron saint. St George was adopted as the patron saint of England by the crusader kings of England. The invincible warrior on horseback was about all they took from earlier Greek legends. But saints of that period belonged to all of Christendom. Possibly this is still true even today, for Catholic saints. St George was not a Palestinian, even if his shrine stood in Lydda. The original St George, if he existed, was a Greek or a Roman. Like the heritage of antiquity, like the Holy Roman Emperor, he belonged to all Christians everywhere. Any nation was at liberty to adopt a saint, and customise him for their nation. And that is what kings like Richard the Lionheart and Edward III did. In a sense, they created St George of England, from a mixture of existing materials – this linked him to the cult of the saint – and their own contemporary need for a hero-saint. St George is not an immigrant, but a home grown expression of what the English wanted. Is this perhaps some sort of reply? At this point we pass rather beyond my period, so I can’t say how accurate all this is. But it is certainly more true than the gibe of St George the immigrant, which nobody ever heard of until these unhappy days. I confess that many of the working class nationalists that one sees depicted on the television are wildly unattractive. But if we must have such people, would it be such a bad thing for them all to revere St George?! That said, it seems most unlikely that anybody will. I am the last person to predict how things will be. That said, I have nagging doubts about the direction of modern life…! Update (1st June 2018): Since I wrote this post, I have become aware that there is no collection of miracle-stories about St George transmitted in the medieval manuscripts. There are scattered stories in many manuscripts, some as late as 1878! Aufhauser simply discusses some that were contained in one or another of the manuscripts that he was using. They do NOT form a collection in Greek. I have slightly revised this post accordingly, and I will do another with full details. The literary texts about St George the Megalomartyr preserved in the medieval manuscripts naturally include the story of his martyrdom and death. But the same manuscripts often contain one or more miracle stories. Those that came before his eyes were summarised by J.B. Aufhauser in 1911 in his Das Drachenwunder des heiligen George in der griechischen und lateinischen Überlieferung, (online here) in which he also edited two of the miracles: that of the dragon, and that of the demon. The texts of these 13, plus a further 6 miracles, were edited by him in Teubner in 1913 under the title Miracula S. Georgii (see this post for more details). Aufhauser found that there was no literary tradition for this material. There was no collection, no original composition. The stories were written in various ways, just like folk stories. There was no “authentic” literary text to transmit. The content, not the words, was what people wanted. The manuscripts used date from the 11th-18th century. Here is a summary of the content of miracles 1-13. Note that in Coptic there does seem to be a collection, with as many as 80 miracles listed; but I have yet to investigate these. The oldest manuscript containing a collection of miracles known to Aufhauser was the 11th century Cod. Paris 1604, parchment., 293 folios long. The manuscript is a homiliary, but it also contains many hagiographical texts. 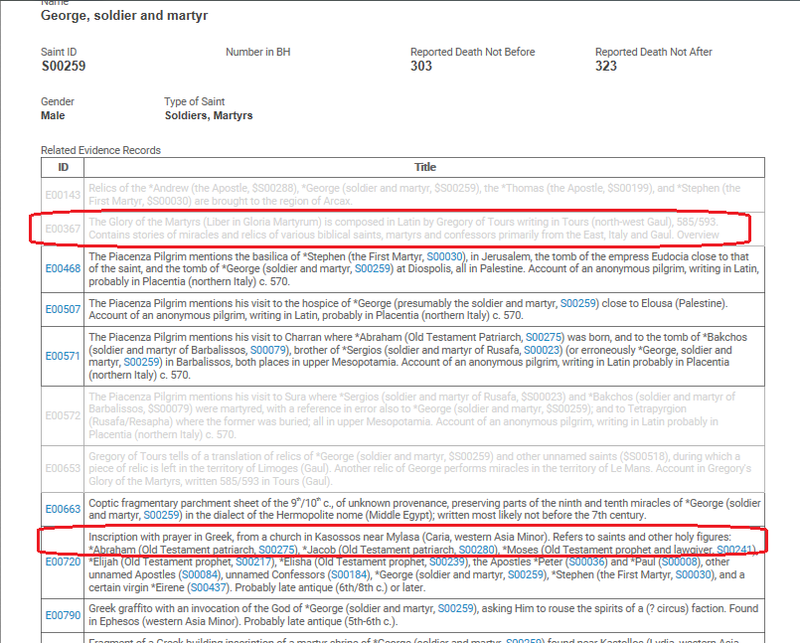 The martyrdom of St George (type B1) is on f. 141-70, followed by the first three miracle reports. 1. Of the Widow’s Pillar: In Palestine, a king in the hometown of the saint, where also his relics rest, for honor sought to rebuild a church. Even a widow wanted to contribute a pillar; but her gift was spurned. Grieving she then petitioned the saint. There appeared to her an armed horseman and asked her for the reason of her complaint. She told him the offense she suffered. The knight wrotes down her wish that her pillar will be the second on the right side of the temple, on the pillar itself. This was wonderfully brought to the site and the chief engineer, filled with astonishment at the widow’s faith, fulfilled the command engraved on the column. 2. Of the pierced picture: The Saracens once plundered this hometown of the saint and desecrated his church. Even against the images of the saints, they turned their spears. A prisoner scolded them, and the more because St. George, to whom the church was consecrated, had been an invincible warrior. At the question of the unbelievers, he showed them his image. Then one threw his lance against the picture; but it bounced back and hit the sinner in the middle of the heart. He sank dead to the ground; the others saw the picture stretch out its hand. They fled in horror, proclaiming with fear the power inherent in the image. 3. Of the captive youth from Paphlagonia: On a campaign the Agarenes (= Saracens as descendants of Hagar) once captured many in Paphlagonia. Among these was a young man who served in the temple of St. George at Phatris. Brought before the army commanders, some were beheaded, others sentenced to slavery.Theyouth was destined for the service of the general because of his beauty. Because he did not want to be unfaithful to his faith, he was degraded to serve the cooks, to carry water, and to chop wood. In his distress he turned to St George. At one evening, when he went to his camp, he heard his name outside the court. He opened and faced a rider. He leaned down to him as if to hug him. Instead, he took him up on his horse, rode off, and took him to a strange house. Then he disappeared. The youth sank into a deep sleep. Early in the morning, one of the house-folks found him in his Agarese clothing and shouted in horror. For his part, the youth recognized the man in his spiritual costume as a Christian and a monk. He saw himself again in the temple of St. George, from whom he had been kidnapped. Everyone praised God for the miraculous rescue of the prisoner. In the epilogue, the author emphasizes that he has told few of the many miracles, so as not to arouse disbelief and weariness. It would be easier to count the sand on the sea or the stars of the sky than any wonders that the saint himself or through others had worked. With high praises he then turns to the saint for intercession, so that he, too, can obtain eternal life in Christ, to whom honour and adoration are eternal. 4. Of the captive George, son of the army commander Leo in Paphlagonia. In Paphlagonia, St. George receives special worship. With great confidence one made a pilgrimage to his church at the spot. Also the army commander Leo Phocas and his wife Theophano carry a special devotion to the saint. When a boy was born to them, they baptized him in that church in the name of the saint. Later, they gave him to the local priest for instruction in theology. The western pagan peoples invaded the country: Bulgarians, Hungarians, Scythians, Medes and Turks. Only through the protection of God did the city escape destruction. At the Emperor’s command, a revenge expedition was set up and Leo was to lead it. Because of his old age, he sent his son George, who was just entering the age of youth. Before that, he recommended him in that church to the protection of the saint. His parents prayed for him day and night. But the invasion of the barbarian lands failed, a punishment of godlessness. Those who were not slain or devoured by the sea or crushed by horses died in captivity of famine. George was appointed to serve the army commander because of his beauty. The parents went home full of bitter complaints and unwilling grumbling against the saint, even in his church. Above all, his mother was heartbroken when she saw her son’s peers. George also assailed the saints for help in his captivity. There came the anniversary of the saint; all the more, they begged him for salvation. During the celebration of joy on the occasion of the feast, the talk was only of George, who only a year before was among the festivities; and everyone was full of deep pain. The same day George was busy at the oven. His memories were at home at the feast. Then his comrades ordered him to bring a vessel, called a koukomion, full of hot food to his master. But the vessel carried him into the air and in a moment it set him down in the middle of the feast of his father’s house. At the sight of his Bulgarian clothing and the steaming koukomion everyone cried out; horrified, his parents crashed to the floor. When George got himself together, he told how, just as a prisoner in the Bulgarian country, he wanted to bring this koukomion to his master; but an (…) had brought him here in a moment through the skies over the sea. In vain was the savior sought. His parents were also recovering and everyone was full of joy and thanks for St George. But a further miracle! Everyone was satisfied by the food brought. Then they went to the church of the saint, to thank him and to ask forgiveness for the grumbling. The koukomion they gave in the temple as a sacrificial chalice. At that time George was still a youth. But now, when he grew old, he told this miracle that had once happened to him. 5). Of the runaway oxen of Theopistos. In the time of Emperor Theodosios, there lived in Cappadocia a man named Theopistos; his wife was called Eusebeia. They were childless. Seven years after their marriage, Theopistos once on 20 May hitched a pair of oxen on the yoke to plough. But he fell asleep and the oxen ran away. All searching was in vain. At the request of a neighbor he called St. George for help with a promise to sacrifice his oxen. At night the saint appeared to him and showed him the disappeared animals. To thank the farmer slaughtered a buck. But the saint was not satisfied with that and demanded redemption of the promise. Even the sacrifice of a sheep and a lamb could not satisfy him, since, as the saint declared in a new apparition, it would not correspond to his dignity as komes. He now demanded the oxen and all the sheep. Theopistos now sought to interpret the apparitions as a ghost in order to escape his obligation. Then the saint again showed himself to him, this time … and threatened him with destruction by fire if the promise were not fulfilled. Now Theopistos slaughtered all his animals. Then twice thirty riders sprang up and announced the approach of the komes. He himself appeared on a white horse. Well, he said, he knew that the sacrifice was to St George; but his name is George and he is also from Cappadocia. Now everyone was satisfied with the sacrificial dishes. Out of the bones, however, the komes again formed the oxen of Theopistos. The other goods of the farmer were also increased, in addition he was given seven sons and three girls. He gratefully built a church for the saint. After 22 years, he died and was buried in that church with his wife, who followed him to death after seven days. 6. The vision of the Saracen during the liturgy and his conversion. The army commander Nikolaos Julas said: The Emir of Syria sent his cousin to a city called by the Saracens Ampelon. There was a famous church of St. George. The Saracen ordered his luggage brought inside under shelter there, including the camels. The priests tried in vain to dissuade him. The camels also fell dead when entering the sanctuary. The hour of the liturgy approached. The Saracen stayed there and saw in the hands of the priest a child, who was later eaten by the priest and those present. In the distribution of the Eulogies he announced to the priest his indignation that one is tormenting a child. He was astonished at the vision, taught the stranger in faith, and sent him to be baptized to the monks of Sinai. He became a monk (called Pachumios) and stayed there for three years. Then he returned to that priest to look again at the child. But he sent him to the Saracens to announce their faith. Before his cousin, the Emir, he confessed himself as a Christian and a monk. But his conversion attempts failed: instead he was stoned by the Saracens. This miraculous account is usually attributed to Gregory Dekapolites (died 817), sometimes to a monk Markos, of whom we know only the name. 7. The punishment of an atrocity of a Saracen to the image of the saint and the conversion of the wicked. Some saracens once came to a church of the saint where the liturgy had just ended. At the sight of the image of St. George one of them threw a lance inside and hurled it against the picture. But it bounced back and hit his own hand. At home he asked the Christians about the power of the picture. They directed him to the priest. He explained to him the worship of the church, told him the life story of George and promised him a healing of the hand, even though he adored the image. He was in fact healed. Then he read the story of the suffering of the saint and was baptized. For the proclamation of faith in the Saracens, he himself suffered martyrdom. This also is a version of #2 above. 8. Of the murdered soldier. At the time of the war against the Turks, a general once took his army to Syria. From here he sent a soldier home with a lot of gold and silver. On the way he stayed overnight in a hermitage dedicated to St. George. The hermit let himself be seduced by the gold, murdered the sleeping soldier and dismembered him. In the meantime, the wife of the soldier saw at home in the dream the danger in which her husband was hovering. At daybreak she hurried to the church of the saint at his grave and pleaded for help. The saint rode to the hermit and asked for the remains of the soldier. No denial was accepted. George resuscitated the chopped-up masses of flesh and sent the soldier to the army with the money. At home the soldier recounted the misfortune suffered, the woman the dream, and both praised God and the miracle worker George. 9. Of the captive youth of Mytilene. On the island of Mytilene there was a church of the saint. Cretan corsairs once wanted to invade the island. They chose the anniversary of the saint on which all the people were in the church. Anyone who was hit at home was captured, even the son of a widow. He was young and very beautiful; therefore he became servant of the Emir of Crete. The widow, however, besieged the saint for help. When the young man once wanted to do his duty as cup-bearer at noon, George carried him home to his mother. And they praised God and his saints. This is a simpler version of #3 and #4; also the scene is changed. 10. Of the pancake. In Paphlagonia was a church of the saint; it was destroyed. George wanted her rebuilding. Children once played in the square. One of them could never win. He was laughed at by the others. In his distress he turned to the saint and promised him a cake of eggs. Then the child was granted the victory, and he brought forth his still steaming gift. Three fishermen came to the temple to perform their devotions. They ate the food. As punishment, they fell to the ground and could only rise again when each of them had promised to sacrifice a guilder (florion). 11. Of Manuel, the man with the consecration gifts. A brief introduction first calls for the purification of all defilement in order to dignify the feasts of the saints. Then begins the narrative: In Paphlagonia, near the metropolis of Gangra, stands in a placed called Didia a highly revered church of St. George. A man of the village called Leo had a son Manuel. Both had great confidence in St. George. Every year the son also made a pilgrimage to the sanctuary of the Archangel Michael in Chonae. There he also brought consecration gifts of other pious people. Once he had gifts worth a pound of gold. One evening, exhausted from the pilgrimage, he could no longer reach the village where he used to spend the night. When the night came, he saw a spark of fire in a valley. He found a house, a robber’s den, in which a robber hid himself with his wife and son. Only the woman was at home, the other two were gone to steal. Manuel asked for a hostel. The woman investigated him. When she heard of the consecrations, she also pretended piety and said that they wanted to make the pilgrimage with him. Then she led him inside and invited him to rest. She closed the door and waited for her husband and son. These came downcast and reported on their futile raid. The woman laughed at her and told her about her effortless catch. Manuel heard everything in his room. Full of pain, he pleaded with St. George for help. He was led out and had to tell everything. After the meal, they set off. The two robbers led him on impassable paths, and tried to drown him in a river. In the greatest distress he called again on St. George. There was a lightning flash, and the two fiends plunged into the river. He led Manuel on his horse to the church of the Archangel and ordered him to return home and proclaim God’s goodness. At the same hour the saint appeared before the robber’s den. When asked about the whereabouts of the stranger, the woman replied that he had gone to Chonae with her husband and son after the meal. Then fire fell from the sky and left everything in ruins. The man sacrificed his gifts in Chonae and returned to his native land, where he spent the rest of his life in humility and penance. 13. The miracle of the unmasked demon. #13 often appears with #12. No summary of either is given by Aufhauser, but texts of both are printed in various versions. What are we to make of these items? Obviously all of them are folk-story. None is history or biography. While reading them, I was reminded of a comment by a friend in my college days, about a big Christian bible-week. “I hear they had angels at the Dales again this year.” I have no opinion on whether angels really did appear at the bible-week in 1981. The point is that a climate existed in which my friend could repeat what was plainly a story going around, without obvious embarrassment. Indeed it was a “nice story” to him, a sign of God at work in the lives of his people. Looked at in this life, the stories given above are of the same type. Some problem in life is met with prayer to Saint George. The saint responds, and the grateful recipient tells others how his prayer was answered. Over time the story gets embroidered. This happens whenever a story is passed from mouth to mouth, even today; and in ages when exact accuracy was not really valued, it must have happened more. In fact we can see an example of this happening above, in the two stories where a Saracen throws his spear at an icon of St George. In one version it bounces off the hard wall and hurts his hand. In a revised version it bounces off and hits him straight through the heart; and bystanders see the hand of the saint move. Oral transmission is quite enough to account for the embroidery. The point is a people looking to see God and his Saints at work in the incidents of everyday, just as a modern Christian would. The story of St George and the dragon is a different matter, however. Somebody actually created this story. But it is an exception in the St George literature. Today is St George’s Day, in England at least, and I found myself wondering what the literary sources were for his legend. About all I know about him is the story of St George and the Dragon. So I started looking for some kind of list of the hagiographical sources for his Vita or Saint’s life. I found very little; so I thought that a post on what I could find would be useful. As with every popular medieval saint, there is a massive collection of folk tales in written form transmitted in the Greek and Latin medieval manuscripts that have come down to us. But what, precisely, exists? And how can we find it? Let’s start with texts. St George is commemorated on the 23 April. The massive collection of Saints’ Lives, the Acta Sanctorum, contains a number of “Lives” in the original language. The relevant volume is April volume 3; the Paris 19th century reprint of this volume may be found at Archive.org here. “St George the Megalomartyr” starts on p.101, here. The introduction tells us, interestingly, that a Life of St George appears in the Decretum Gelasianum, (online here), a 5th century list of books approved and otherwise – as a probable composition by heretics! The old Bibliotheca Hagiographica Graeca (1909) – online here; there is a later version but I don’t know that this is online – has a section on the Lives of St George, starting on p.93, here; St George, martyr, of Diospolis in Palestine. Twenty different texts are listed, coded as BHG 670 – BHG 691. The first of these (BHG 670) is interesting for its early date. It is preserved in uncial in a 6th century palimpsest (so very early), and edited in facsimile by D. Detlefsen, “Über einen griechischen Palimpsest der k. k. Hofbibliothek mit Bruchstücken einer Legende vom heiligen Georg”, 1858. Pleasantly it is online in high resolution at the Bavarian State Library here. There are apparently Latin versions of this particular life, which fill out the lacunae. But the story itself simply screams its fictional nature. Among other ineptitudes, apparently St George is put to death and resurrected three times, in one case after being torn to pieces. Indeed the life of Christ our Lord, with his solitary resurrection, begins to seem like a rather poor and threadbare rehearsal for the glory that is the life of St George! It might be nice to get this life translated; but it may be that we need someone with both Latin and Greek for this. The contents of the other lives are as yet unknown to me. I hope to blog further about this. The standard handbook on all this material, from which I have yet to read more than a page or two, is Hippolyte Delehaye, Les légendes grecques des saints militaires, Paris: Librairie Alphonse Picard, (1909) 45-76. This is online here, and seems to be the source of all the other discussions of St George that I could find in a Google Books search, such as this one in English from Michael Collins, St George and the Dragons, (2018) here. The page that I have linked to summarises nicely what Delehaye says about the subject. There are archaeological remains and inscriptions which indicate that the veneration of St George dates back to the 5th century. That’s all that I found so far. It’s a similar sort of situation to the Saints’ Lives of St Nicholas. Isn’t it interesting that in modern England both St Nicholas and St George are still remembered? An important catalyst in the decline of hagiographic production in the eleventh century… was the contesting of the elevation of new saints. During this period the view was widespread that it was no longer possible to become a saint. The philosophical position of the philosopher John Italos, a pupil of Psellus, who called into question all miracles attributed to Christ, the Theotokos, and the saints, also had some influence in this respect. John the Deacon and Maistor, against those who call into question the cult of the saints and argue that the saints cannot help the living, especially after their deaths. The reference given for the other item is J. Gouillard, “Léthargie des âmes et culte des saints: un plaidoyer inédit de Jean Diacre et Maïstôr”, TM 8 (1981), 173-9. “TM” turns out to be that not entirely well-known journal, “Travaux et mémoires du Centre de recherche d’histoire et civilisation de Byzance”, which I gather has a home page (if no content) here. I am unclear whether this even contains the text; how one might obtain the article is quite unclear also. I think by this point we are perhaps outside our period. But it is very interesting that these questions are being raised around the time of the great collections of hagiographic material. Perhaps some medievalist could obtain and translate these texts and place them on the web? We sometimes wonder just how hagiographical texts came into being. It’s obvious that the majority are a form of folk-story, rather than accurate narrative. But wouldn’t it be nice if we actually had some information from the author of such a text? If by any chance you readers should find the treatment in this part of the book vague and should be moved to ask, “Why didn’t he depict the deeds of this pontiff as he did his predecessors?” listen to my reasons: I, Agnellus, likewise called Andrew, lowly priest of my holy Church of Ravenna, have put together this book which covers nearly eight hundred years or more from the time of the death of the blessed Apollinaris, by inquiry and research among the brothers of the see. Wherever I found material that they were sure about, I have presented it to you; and anything that I have heard from the elderly gray-beards I have not withheld from you. Where I could not uncover a story or determine what kind of a life they led, either from the most aged or from inscriptions or from any other source, to avoid a blank place in my list of holy pontiffs in their due order according to their ordination to the see one after the other, I have with the assistance of God through your prayers invented a Life for them. And I believe that no deception is involved; for they were chaste and almsgiving preachers and procurers of men’s souls for God. Deeply dubious, of course: but very interesting. Et si aliqua aesitatio vobis hunc Pontificalem legentibus fuerit, et volueritis inquirere dicentes: ‘Cur non istius facta pontificis narravit, sicut de ceteris praedecessoribus’? audite, ob hanc causam: Hunc praedictum Pontificalem, a tempore beati Apolenaris post eius decessum pene annos 800 et amplius, ego Agnellus qui et Andreas, exiguus sanctae meae huius Ravennatis ecclesiae presbiter, rogatus et coactus a fratribus ipsius sedis, composui. Et ubi inveni, quid illi certius fecerunt, vestris aspectibus allata sunt, et quod per seniores et longaevos audivi, vestris oculis non defraudavi; et ubi istoriam non inveni, aut qualiter eorum vita fuisset, nec per annosos et vetustos homines, neque per haedificationem, neque per quamlibet auctoritatem, ne intervallum sanctorum pontificum fieret, secundum ordinem, quomodo unus post alium hanc sedem optinuerunt, vestris orationibus me Deo adiuvante, illorum vitam composui, et credo non mentitum esse, quia et horatores fuerunt castique et elemosinarii et Deo animas hominum adquisitores. De vero illorum effigie si forte cogitatio fuerit inter vos, quomodo scire potui: sciatis, me pictura docuit, quia semper fiebant imagines suis temporibus ad illorum similitudinem. Et si altercatio ex picturis fuerit, quod adfirmare eorum effigies debuissem: Ambrosius Mediolanensis sanctus antistes in Passione beatorum martirum Gervasii et Protasii de beati Pauli apostoli effigie cecinit dicens: ‘Cuius vultum me pictura docuerat’. The MGH editor helpfully adds that the reference to Ambrose is a Passion of Saints Gervase and Protasius, the text of which may be found in the Acta Sanctorum 19. Jun., III, 821 (I apologise for the lunatic organisation of the Acta Sanctorum series by saint’s day, volume – many volumes for each day – and then page number), but which “is falsely set forth under the name of St Ambrose”. It is useful to know of at least one example of a dark ages writer who honestly admits to inventing the stuff.